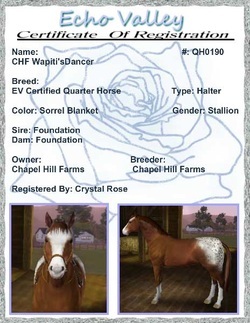 Wapiti is a beautiful chestnut Quarter Horse stallion. He is one of my favorite stallions. He is going well under saddle, and we are very pleased with his progress. It seems nothing spooks him. He remains steady and calm in stressful situations. He is playful, agile and brave.